Part Ten: The aftermath, spring 1968. 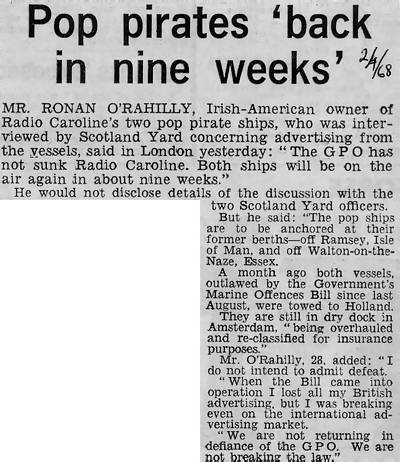 The silencing of the two Radio Caroline ships in March 1968 was a terrible blow to the station's millions of listeners but in the weeks that followed there was an optimistic feeling that maybe it was not all over. On to the next page of press cuttings. 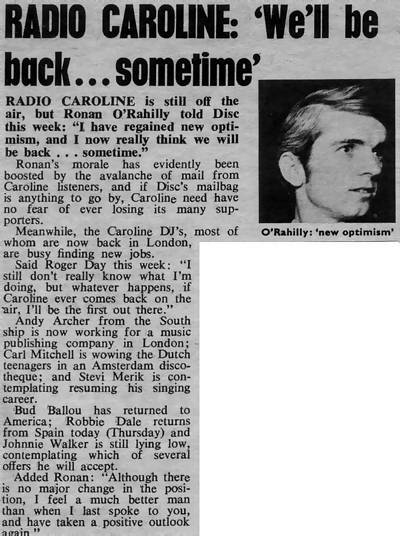 Back to part nine of ‘Caroline in the Sixties’.